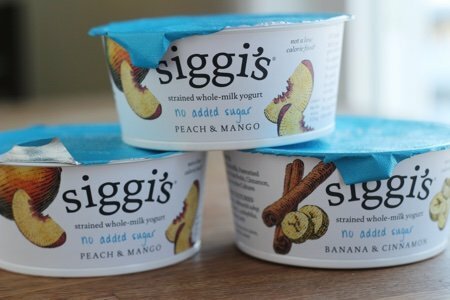 Siggi’s yogurt was founded by a real person named Siggi. I know it is hard to believe but Siggi is a man’s name. He is from Iceland and it turns out that Sigurður (which is the long version of Siggi) was the fourteenth most popular boy name in Iceland in 2015! Aron was number one (followed by my son’s name – Alexander). I don’t know if any of my readers are in Iceland, but if they are - please forgive me for my ignorance about Icelandic names. Siggi Hilmarsson has become a hero of mine for not adding sugar to his flavored containers of yogurt – see Siggi’s Yogurt Goes Without Added Sugar. I decided to go meet him on a recent trip to NYC that I took with my family so I could shake his hand and thank him for doing what I thought was impossible. 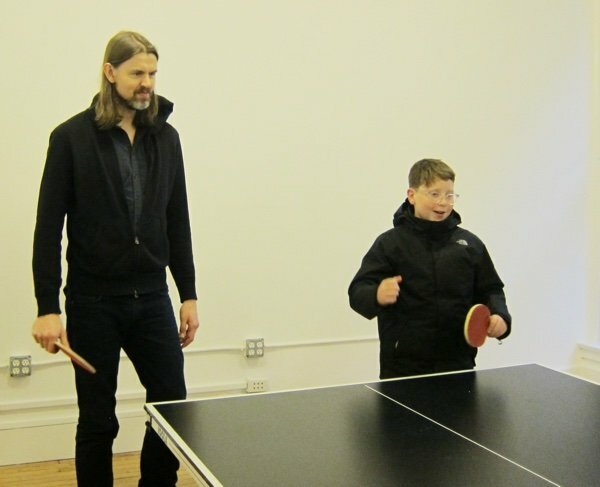 He is very tall and offered not only to host me at his offices but play ping pong with my family. My son, Alex, is pictured with him here attempting to play. Siggi and I talked about his goals and inspirations. In 2002, he arrived in NYC to study at business school and tried to eat American yogurt. As you may not know, other countries don’t pile sugar into their yogurt and so he was amazed at how sweet it was. His experience led him to want to get into the yogurt business and to offer his Icelandic version to Americans. What I like about Siggi is that he seems to want to lead instead of follow when it comes to our taste buds. Are we used to yogurt that relies on the lactose (sugar in milk) and fruit to flavor it? No, we aren’t. Most of us are accustomed to yogurt that tastes like dessert because it is flavored heavily with sugar or artificial sweeteners. There really isn’t a good reason to add sugar to yogurt. Siggi’s no sugar added yogurt has 5 grams of sugar naturally. That is already a teaspoon. Siggi wants to help our taste buds change so we can enjoy all the flavors in the yogurt – the sour, creamy, fruity goodness that can happen when we take away a seasoning as powerful as sugar. I have met with many food companies and they tell me that they can’t remove the sugar from products because people won’t buy them. Maybe they should talk to Siggi. Siggi didn’t reveal his latest sales numbers to me but he seems to be doing all right. Of course, his product is also delicious because it is high quality. I hope more Siggis and Marias, Erics, and Genevieves show up from other places to help us correct our added sugar problem. It would be nice to have some home grown innovators as well. If you haven’t given the no added sugar variety a try – check out this Siggi’s Location Finder. Guess I love sugar too much. One Siggi I bought was edible, and, I finished it, the other, I had to throw away. Couldn't see wasting the calories. I have been buying Siggis plain yogurts for years and I love it. I am so happy that it is now available at EVERY store whereas before I had to drive over 90 minutes to get it. Wallaby also makes a wonderful Australian Greek Yogurt that is very thick and low in sugar! I think this is great! My hat is off to Siggi, and to you for what you do. I am really steamed that sugar (and other nonsense) is added to our food, as if we are a bunch of gluttonous morons just scoffing this stuff up. I probably speak for many when I say I would like to choose better. But, I guess the almighty dollar wins out - as you mention that companies say it wouldn't sell without all that sugar! Well, they lost me and Siggi and others like him got me! Again, thanks Snack Girl for highlighting the positive!! @Susan - I had no intention to shame you (or others) for not liking Siggi's. It isn't for everyone and it isn't only about the sugar. There is a different texture and creaminess in Icelandic yogurt. I get not liking it! Thank you for your comment! thank you for posting this! I love the brand and I'm a big fan of Icelandic yogurt. I'm heading to Iceland for my 4th visit in August! That brand is not available where I live but there is 2 other brands that are plain 1% or 2% that are not pre sweetened. I never sweeten yogurt and just add some fruit. You don't need sugar at all, I never could understand sweetening this product! I also buy the 0% fat plain Siggis and it is great. I personally don't like sweet yogurt so it's perfect with only 4 grams of naturally occurring sugar in the milk itself. It's a great replacement for sour cream. THIS!!! --> "I hope more Siggis and Marias, Erics, and Genevieves show up from other places to help us correct our added sugar problem." LOVE Siggis yogurt! It's often on sale in my regular market so I stock up on individual servings. Delighted to see plain and vanilla in 24 oz containers that I can decant into servings. The triple cream is a healthy decadent occasional treat. I am able to find the regular Siggi's at my local Publix and love it, but the only place I've been able to find the no-added sugar Siggi's is at Whole Foods. After you mentioned this version a couple of months ago, I made a special trip to Whole Foods just to buy this yogurt. It definitely takes some getting used to, although I have come to love plain 2% Fage yogurt. I bought three containers of Siggi's at Whole Foods and ended up having to throw one completely out because it had spoiled. That really irked me considering how expensive this yogurt is. Ironically, also had to throw out a bottle of half and half that I had also bought at Whole Foods that also spoiled before we had used it. I rarely ever have this problem with my local Publix. Anyway, I've heard that this is a Whole Foods problem not throwing out expired or close-to-expired foods and makes me think twice about shopping there again. It sure would be great if my local Publix would carry the no-added sugar version of Siggi's. I thought Siggi's was actually a product native to Iceland called "skyr". It does take getting used to. I demo it in my store and 60% do not like it. 40% do, though. I myself think it's tastes wonderful! Thank you so much for this post and your photos! My older son has never liked yogurt until he tried Siggi’s. I wish it were a bit cheaper, but I’m glad my local Giant carries it. The Siggi’s drinkable yogurt is also terrific and my husband, who has ulcerative colitis, finds Fage 0% plain Greek yogurt in the morning and Siggi’s drinkable yogurts at lunch to be really good for his insides. I hope I can learn to love the lower sugar options. I tried it recently because they had it at the Starbucks in my office building and I was looking for something for lunch that was at least moderately healthy and wouldn't spike my blood sugar. Definitely pricey, but it took care of lunch and I could see eating it again! Definitely will try when I'm out and need a snack.I have been using Aldi's Plain Greek yogurt because it does not have added sugar. I also use their fruit yogurt which has less total sugar than others. I divide the fruit yogurt between 2 custard cups, then fill the custard cup with the plain yogurt, mix and divide each cup in half. This way I get less sugar and have become used to the taste. Siggi’s plain is wonderful, and I have become addicted to it! Found it after my diabetes diagnosis. I add blueberries or strawberries, and it gives me a good dose of protein with no sugar. Love!! Wow Lisa! 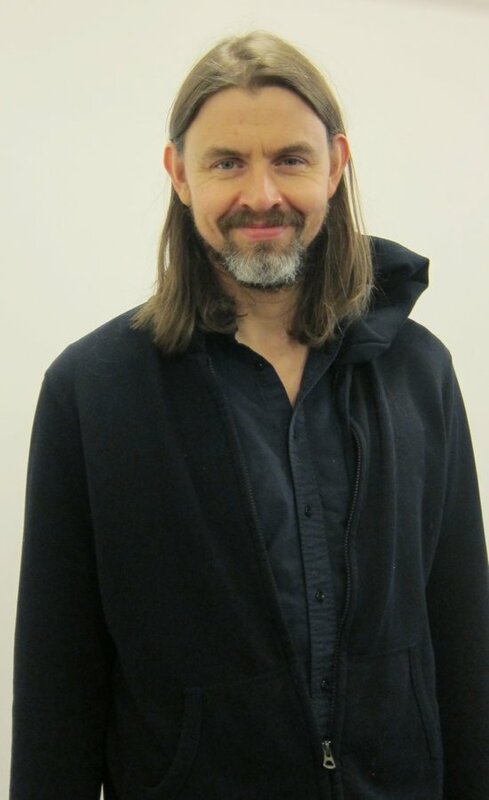 How cool that you actually met & talked to Siggi himself! I love this yogurt - the vanilla is the best in my opinion (I can't quite handle plain for eating, just cooking) - but I can understand it's not to everyone's taste. It really makes you sit up & take notice, when we hear all the time about how there is too much sugar in our food. Because of this, I didn't like it at first, but you'll get used to it if you give it a try. As others have said, I buy in the large containers and decant into 5 small ones for my lunches ... this does save money. To Sue, about the stuff from Whole Foods going bad so quick ... I've experienced this too at local produce shops. I used to think they consider it better to be providing us with the freshest stuff, to encourage us to shop more often. Maybe this was wrong thinking? I won't buy things like bagged salads or dairy products at these places, because the expire date is coming so soon. I buy at my local Meijer, where the same stuff has expire dates much further out, but stays fresh just fine. It's an oddity? Thanks Lisa - great post, as usual! O.K. Wow! What a handsome guy (Siggi and your son) and lucky you for getting to meet Siggi. I do believe that the Icelandic yogurt Siggi makes is Skyr as Lynn mentioned. This is a home staple in Scandinavian countries.